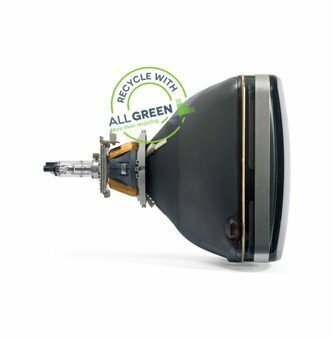 The goal to recycle old CRTs (cathode ray tubes) in televisions and monitors is a worthy one, as CRTs contain some of the materials most damaging to our environment out of all of our electronic equipment. Government guidelines have pushed to make it illegal to dispose of this equipment in the incorrect manner. Previously hard to recycle due to their weight and size, and the fact that many recycling centers charge a premium to take them, CRTs can now be recycled easily and quickly through the CRT recycling services of All Green Electronics Recycling. There is no one “correct” system of recycling for all companies. As every company is unique, their recycling approach should be as well. We will work with your organization to find the system that not only helps you decrease your impact on the environment, but saves you money. With our wealth of experience, we can help you to repurpose and remarket old equipment, and recycle the materials, creating a source of revenue for your company. With our assistance, you can dispose of your old equipment safely, securely, and economically. Thanks to our fleet of IT recycling trucks, the largest in North America, we can collect your old CRTs right at your building, passing the savings on to you. We can arrange to pick your equipment up at any time, and will even package, label, and remove it for you. And with our easy to use management portal, you can keep track of your CRT online, knowing where it is at all times. Safely disposing of equipment with potentially important data is our top priority, and is something we always handle with the utmost of care. More businesses trust us to handle the recycling of their sensitive equipment than any other. Everything that comes into our hands if carefully handled each and every step of the way, in a way that is always transparent to you. If you’re not careful, you can easily run up against the many laws across the country that regulate CRT disposal, leaving you open to not only large fines that can damage your business beyond repair,. 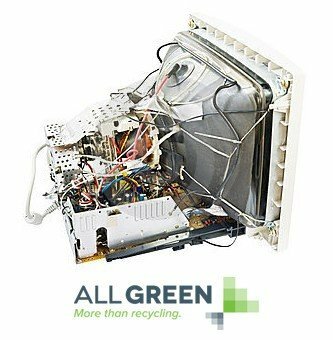 We are always certain to go above and beyond minimum guidelines to that every CRT TV and monitor that comes into our hands is recycled legally and properly, ensuring your company is protected, and also ensuring our planet is healthy for future generations. A cathode ray tube (CRT) is a bulky component of a TV or computer monitor. The process for recycling cathode ray tubes (CRT) used to be simple and straightforward. Everything changed when the market demand shifted to flat panels. Now many recyclers choose to store CRT glass instead of recycling it because of rising costs, limited return on interest and lack of economic incentives. Even worse, the Environmental Protection Agency (EPA) considers some color CRT computer monitors hazardous under federal law. This means that they are subject to special restrictions and handling requirements. Finally, consumers often find recycling CRTs inconvenient because they are bulky and heavy. Rest assured that we meet the federal guidelines for recycling CRTs. We are more than willing to recycle CRTs to help customers and protect the environment. The demand for CRT glass has dwindled because of the shift from bulky CRTs monitors and TVs to light weight, flat panels. This has resulted with many other recyclers stockpiling their CRT glass. It is critical that we avoid stockpiling CRT glass and instead, efficiently recycle them. A normal CRT device can contain up to 90 pounds of glass. According to the EPA, about half of all electronics ready for end-of-life management are CRT monitors and TVs. This unfortunately results in enormous amounts of waste being dumped in landfills. Other recyclers export their stockpiled CRTs to third world countries to be dumped in landfills. However, locally recycling CRTs allows us to conserve resources while recovering and reusing materials. What Type of Materials can be Recycled from CRTs? A lot of the plastic, glass and metal used in CRTs can be recovered and recycled. Recycled CRT glass is used for niche products like ceramic tile and X-ray shielding glass blocks. CRTs also contain precious and semiprecious metals on the circuit board such as gold, silver, tin, lead, and copper. As an added bonus, customers may be paid for certain valuable materials and parts salvaged from the CRT. Which CRT Materials harm the Environment? CRT glass contains enough lead to be considered a hazardous waste by the federal government. Specifically, the CRT’s panel, funnel, neck and solder glass all contain lead. The circuit boards contain trace toxic metals such as lead and trace hazardous materials like mercury. Lead has a very negative effect on the environment and people’s health. Lead toxicity can cause irreversible neurological damage and renal disease. When CRTs are dumped in landfills or improperly recycled, they slowly deteriorate and release toxins that contaminate the soil, water and air. Responsibly recycling CRTs protects both people and the environment. All Green is a trusted company for CRT recycling. We offer two convenient options for recycling your CRT monitor or TV. Contact us and we will happily pick up your big and heavy CRT free of charge. Otherwise, drop it off at one of the nationwide pick-up locations. Help us help the environment by letting us recycle your CRT monitor or TV.